Kate Rossmanith is an author, essayist, and academic. She holds a PhD in Performance Studies from the University of Sydney, a discipline that combines theatre and anthropology, and investigates how we perform ourselves in everyday life. This has laid the grounding for her ethnographic research that examines the way remorse is enacted and assessed in the criminal courts. Her essays about the people who work, and find themselves caught up, in the justice system have been used to educate the community about sentencing and parole processes, and have informed the working practices of judges and parole authorities. She has collaborated with anthropologists from the University of Oxford to examine the ways in which offenders on parole connect with mainstream groups. Kate also researches creative writing: the intersections between nonfiction, memoir and ethnography. She is currently part of a research team investigating how writers develop narrative from forensic material. Her short documentary, Unnatural Deaths, published by The Guardian in February 2018, explores the surprising ways in which bereaved relatives view the crime scene photos after the sudden death of a loved one, and the therapeutic potential of such photos. 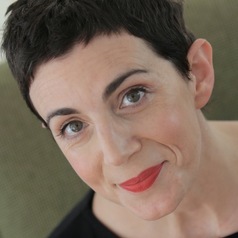 Kate’s essays have appeared in The Monthly, The Australian, and Best Australian Essays. In 2013, her essay 'The Work of Judges' was nominated for a Walkley Award for Excellence in Journalism. Kate’s book, Small Wrongs: How we really say sorry in love, life and law, is published by Hardie Grant Books in June 2018.